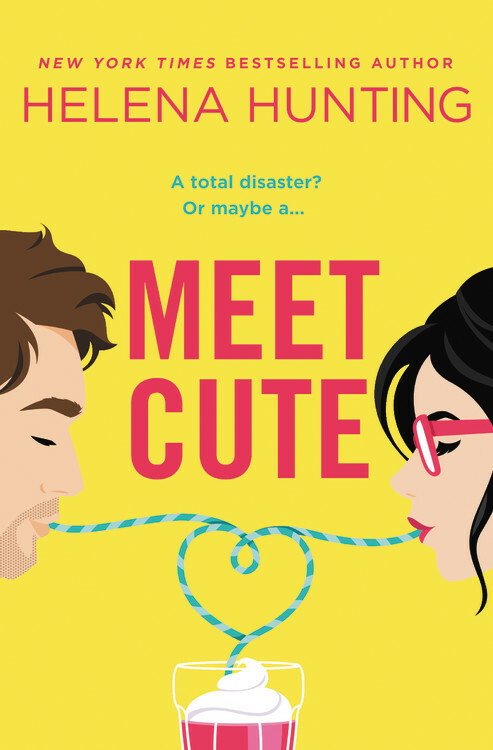 Thank you so much to Rockstar Book Tours, Kathy Dawson Books, and Janet Lee Carey for providing me with an arc to review! In The Time of Dragon Moon was everything a fantasy book should be. It had magic, romance, action, and betrayal all wrapped in an engrossing fairy tale. It was also powerfully and beautifully written. I only wish the arc had a map for me to consult (but the finished copy will have one!). In the Time of Dragon Moon is actually sequel to Dragonswood, a gem that I found in the library one afternoon not knowing much about it. You can certainly read Dragon Moon separately and nothing about the story is diminished. However reading Dragonswood first adds so much nuance and history to the world and characters. It’s set in this really interesting alternate medieval England ruled by the Pendragon family, who I believe are supposed to be descended from King Arthur. There are three islands that make up the country, along with fairies, dragons, and a native population, all of whom coexist uneasily with the English. It creates this environment rife with political and cultural tension, as well as lots of exhilarating action and sneaky character motives. I loved Uma. She was such a strong, interesting character caught between two worlds in more ways than one. The pull between her English and Euit sides, and the pull between her womanhood and being a healer in her culture gave her this fascinating character arc. I liked watching her reconcile her fears and dreams and finding a path to follow that made her happy. I liked learning about the Euit culture, especially the animal moons and how they affected life. And her relationship with Queen Adela was chilling. It was filled with hated and mistrust along with sympathy and pity, her healer’s oath warring with her real feelings about the queen. But most of all I loved her relationship with Jackrun. They were both outcasts in a sense for different reasons and watching them learn to trust each other, to build a friendship, and the way Jackrun continually stood up for Uma while also respecting and nurturing her was wonderful. I looooved Jackrun! My favorite part of the story was how Janet Lee Carey wove her unique dragon mythology into her alternate medieval setting. There are different types of dragons with their own dragon culture, some of whom treat with humans, some who won’t. And in the Pendragon bloodline, humans can be born with dragon scales and dragon traits. The fairies are less unique but no less interesting. They are magnanimous and beautiful and frightening. I loved the intermixing of species and cultures in the story; they each had their own part to play. This book was just a wonderful concoction of history, magic, passion, brutality, forgiveness, love, and fantasy creatures. And even a murder mystery, I always love seeing how those are pieced together. If you enjoy lyrical prose, a fascinating cast of characters, rich worldbuilding, slow burn romance, and dragons, you have to read In The Time of Dragon Moon! A perfectly crafted combination of medieval history, mythology, and fantasy, set on Wilde Island, featuring Uma Quarteney – a half Euit and half English girl, who has never been fully accepted by her Euit tribe – and Jackrun Pendragon – a fiery dragonrider with dragon, fairy, and human blood. All Uma wants is to become a healer like her father and be accepted by her tribe. But when the mad queen abducts her and takes her north, Uma’s told she must use her healing skills to cure the aging infertile queen by Dragon Moon, or be burned at the stake. Uma soon learns the queen isn’t the only danger she’s up against. A hidden killer out for royal blood slays the royal heir. The murder is made to look like an accident, but Uma, and the king’s nephew Jackrun, sense the darker truth. Together, they must use their combined powers to outwit a secret plot to overthrow the Pendragon throne. But are they strong enough to overcome a murderer aided by prophecy and cloaked in magic? 2 winners! 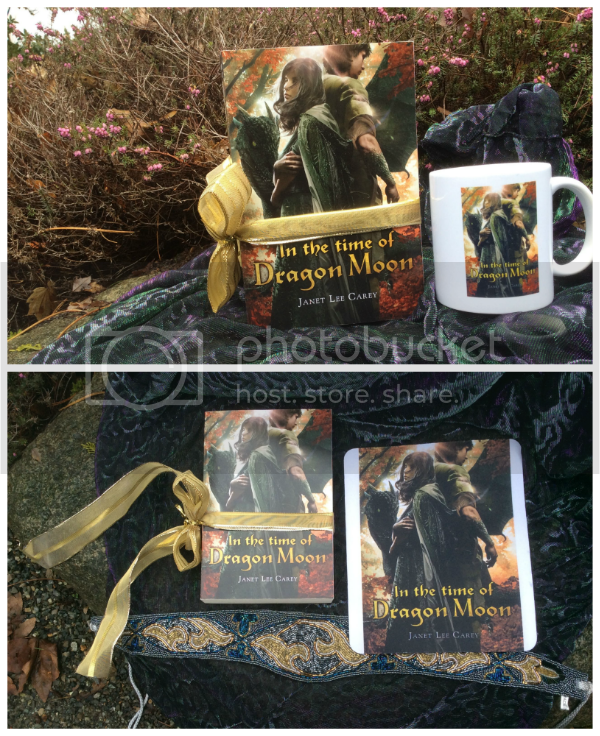 One will win a Signed copy of In The Time of Dragon Moon and Dragon Moon mug and one will win a Signed copy of In The Time of Dragon Moon and Dragon Moon mouse pad. US and Canada Only. Janet Lee Carey grew up in the bay area under towering redwoods that whispered secrets in the wind. When she was a child she dreamed of becoming a mermaid (this never happened).She also dreamed of becoming a published writer (this did happen after many years of rejection). She is now an award-winning author of nine novels for children and teens. Her Wilde Island Chronicles are ALA Best Books for Young Adults. She won the 2005 Mark Twain Award and was finalist for the Washington State Book Award. Janet links each new book with a charitable organization empowering youth to read and reach out. She tours the U.S. and abroad presenting at schools, book festivals and conferences for writers, teachers, and librarians. Janet and her family live near Seattle by a lake where rising morning mist forms into the shape of dragons. She writes daily with her imperious cat, Uke, seated on her lap. Uke is jealous of the keyboard. If Janet truly understood her place in the world, she would reserve her fingers for the sole purpose of scratching behind Uke’s ear, but humans are very hard to train. Author photo credit Heidi Pettit. I love the titles of your book. Then the blurb and the rest of the post hooked me. Looking forward to reading even more. I loved this book. It was magical and enchanting. It sounds like a fantastic book. I enjoy reading about fantasy, history and magic, and would love to read this book. Thanks for having the giveaway. This looks and sounds like a series I need to start soon! I love the cover of In the Time of Dragon Moon and I have been in the mood for some great dragon fantasy books.